Our crew as Connecticut Sealcoating is proud to be a premier asphalt contractor in Westport, Connecticut. We have consistently dedicated our efforts to providing the best asphalt paving services and customer experience possible. As an established trusted asphalt company in Connecticut, we are ready for any asphalt paving job that you have. Whether you are in need of residential, commercial, or municipal asphalt paving, Connecticut Sealcoating is the paving contractor you can rely on. Contact us today for a free consultation! Westport is a town located in Connecticut. It is considered to be one of the most affluent towns in the United States of America. It is ranked as the 22nd richest place to live in the country and the 2nd in Connecticut. It is located along the Long Island Sound and is a part of the Gold Coast that sits in Fairfield County Connecticut. Only a 29 miles north of New York City, Westport is a popular place for residents of the New York Metro area to visit to escape the bustle of the city life. The town has an estimated population of approximately 26,500 residents. It was originally established in 1835 and was incorporated as a town that year. It was founded by the Bankside Farmers. There are a number of well-known neighborhoods in Westport that have gained popularity due to the extravagant nature of the real estate and population. Some of the most prominent neighborhoods in the are Saugatuck, which contains Saugatuck Shores and Saugatuck Island. Downtown Westport is also a very popular area for residents and visitors of Westport. Greens Farms is the oldest neighborhood in the area and has its own post office and train station. Westport is home to some very popular nonprofit organizations. The Westport Country Playhouse, which was founded in 1930, is one of the most well-respected summer theaters in the United States. Save the Children is another popular United States based nonprofit organization in the area. The town of Westport is also rich with parks and recreational activities that have become very important to the locals. Sherwood Island State Park is located along the Long Island Sound and has a number of popular beaches. On clear days, the New York City Skyline can be seen from the beaches and has become the rightful home for the state’s 9/11 memorial. 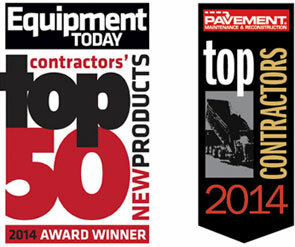 At Connecticut Sealcoating we are very proud to be a top asphalt contractor serving Westport and its residents. If you are in need of commercial, residential, or municipal asphalt services, make sure to contact us today for a free estimate! Learn About a Recent Asphalt Paving Job in Westport! Connecticut Sealcoating, LLC is proud to be a top provider of asphalt paving services in Westport, Connecticut. We have been delivering the top of the line residential, commercial, and municipal asphalt services for many years. With services ranging from commercial parking lot paving to residential asphalt maintenance, our crew can handle any job. Make sure to give us a call today for your next asphalt paving project. Our team received a call recently from some new Westport residents. The clients had recently moved to the area and were looking for residential asphalt maintenance in Westport. After speaking with them, we were able to determine that they were looking for sealcoating for their new driveway. They explained to us that they had recently utilized another local asphalt company. However, they company had performed an unsatisfactory job on their asphalt driveway. They decided to change companies, and go with a top paving contractor in Westport, Connecticut. We assured them that we would be able to get the job done right. We sent an asphalt professional to the property to evaluable the asphalt paving work that had been done, and determine the asphalt maintenance that was needed. We determined that a quick layer of sealant would be very beneficial to the longevity and overall life of the residential asphalt driveway. After informing the client that it would only take a single day to complete, they were happy to get started. Our sealcoating team arrived at the property to begin the asphalt maintenance. After we had completed the project, we gave the clients some helpful tips on driveway maintenance and asphalt maintenance in order to help protect their driveway and their investment. They were very appreciative of the time and professionalism that they experienced throughout the entire time with Connecticut Sealcoating. We were happy to have provided an excellent asphalt service to a Westport resident.